A great event for anyone expecting a baby or who has a baby under 12 months old. 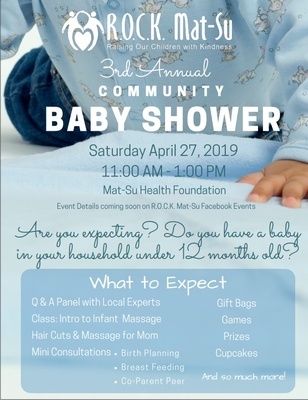 The Community Baby Shower will have gift bags, Q&A Panel with local experts, cupcakes, Mini-Consultations, and so much more. More information on ROCK Mat-Su Facebook Events.